The Allen key might not look like much, but it has changed the way we live at home. This one little key unlocked designs that are beautiful, durable, sustainable, and functional - and best of all, affordable for everyone. 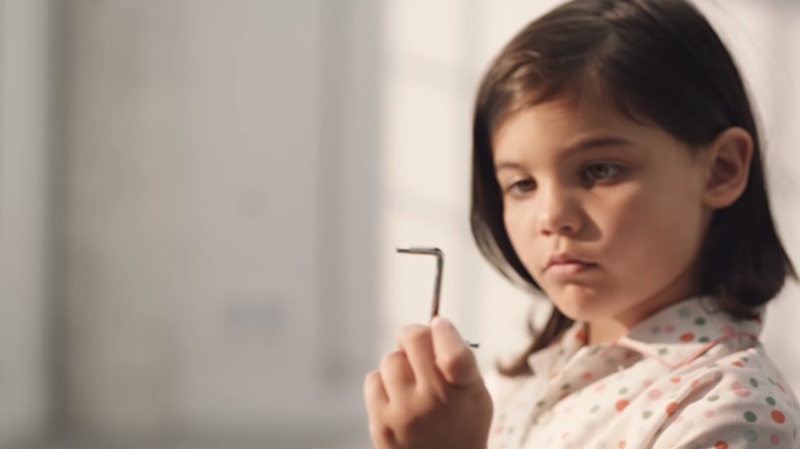 IKEA Canada, marks its 40th anniversary with a new brand commercial that celebrates IKEA's vision to create a better everyday life for the many people and its democratic design philosophy. IKEA, wants to make all of the great solutions, the desirable designs and make them accessible to the many. This philosophy unlocks a way of doing things differently that creates smart solutions with the right combination of form, function, quality, sustainability, all at a low price. "We took a small but symbolic icon, the Allen key to celebrate the way in which IKEA has democratized design. It is fitting to highlight our democratic design philosophy to commemorate our 40 years in Canada. At IKEA we believe that beautiful, well-designed home furnishings solutions should not be for the few, but accessible for the many," said Lauren MacDonald, Country Marketing Manager, IKEA Canada.